Sometime in the month of October, a beautiful, fat baby was born. Talking about yourself is an odd thing to do, especially when you are so good at listening to other people. You tend to forget you also have stories to tell. There are just some who were born into this world who, as they grow older, come to realise that there are many folks out there who are in desperate need. And by simply lending an empathetic ear you have already provided them with comfort. The right time will come for your own story to be featured. But for now, helping others find light and being able to see the beauty this world has to offer would probably be one of the best things anyone can achieve. It is about Maria who just got happily married, loves to change the colour of her curtains (depending on her mood), who is very picky about what other people can and cannot touch in her kitchen (because it’s the most valuable part of their house)! She enjoys spending time in the market choosing fresh goods and bargaining with the vendors – because every penny counts! Maria – who never forgets to share food with the security guards in their subdivision (because they also deserve to be treated special), feeds stray cats (even if sometimes it results in having her garbage bin being knocked down), who constantly looks at the picture of her late favourite Labrador dog who was with her for 12 years, who loves to watch Netflix while taking a shower, and someone who just purchased an aquarium to put 10 different types of fishes all together! Yes, it’s all about her. Before going into details, many of which you’ve already had a taste of, a cup of coffee would probably be a good plan. The smell and taste of freshly brewed coffee makes everything better… except if you drink it at night… unless you’re nocturnal! So, coffee does play a vital role in Maria’s life. Her day cannot start without it. Maybe she got the taste for it from her parents. Only difference is they drink coffee at night to make them fall asleep (which should actually be the other way around – but everyone is unique in their own way!). Maria had a magnificent childhood, and being the youngest – and only daughter in the family – meant she was treated like a princess. She would bring home medals and certificates, which she then sold to her Dad. This ritual began in kindergarten and continued right up to high school. Maria was privileged growing up in a family-oriented household. These values greatly impacted her in adulthood because there is an abundance of respect and she feels everyone’s opinion must be acknowledged. Of course, there were ‘brothers and sister fights’ – but their parents handled each one perfectly. And each child learned from their own mistakes and this is quite possibly why they all matured at an early age. It came that time of life when young ladies get to blossom when attending college. Maria chose a prestigious school where she took up Bachelor of Science in Development Communication. Her parents saw potential in Maria, certain that she should involve herself with the media someday – even if not in front of the camera. As a teenager, it is safe to say that due to the strong influence of people surrounding you and what society has on offer, you can do all sorts of crazy stuff that would not really please your parents. Maria hooked up with an organisation that played Rodeo and had their practice and meetings each weekend. This contributed to Maria missing some classes. She also joined her department in playing Ultimate Frisbee. You know where this is heading of course? It did take long before Maria lost interest in completing her course. Kids! It was a stage in her life when she just needed to figure out who she was and try out all of those stupid things until it became senseless for her. In order to convince her Dad that she needed to take a break, Maria managed to enter the BPO industry. Fortunately, most fathers will support you as long as he knows that you will benefit from your actions… somehow! Without much knowledge about what kind of job the BPO had to offer, Maria gave it a try and surprisingly was hired at the age of 18. Finding employment isn’t always so easy, especially if desperation kicks in due to the bills piling up at the end of each month. Fortunately, in Maria’s case, her Dad still gave her allowance every day and picked her up after work. From that first day of employment, Maria began learning from the life experiences of her colleagues who were twice her age. Her skills were developing daily and the way she interacted with people matured into professionalism. At this very young age, she knew how and when to weigh her options and always put herself in other people’s shoes. Within a year, she had already unlocked the preliminary steps into becoming an independent woman. And her age and lack of experience did not stop her from being awarded as one of the top agents. In the year 2014, she resigned from her job to continue her studies. Maria was still confused as to what course she should take up in her previous university. In the end she convinced her family to allow her to enrol in a culinary school. They had to support her because cooking is in their blood, and it was a form of quality bonding for the family as well. It was such a cool experience to learn the basics of what a chef’s life could be. Unfortunately, at one point during her time there Maria’s apartment in the city was robbed, so her parents rushed out to rescue Maria and brought her home. Maria’s Dad told her to ‘straighten up her life, as his life could end sooner than expected and she might not find her knight in shining armour before then… so it was best that she equip herself with bravery to brace herself for whatever difficulty she might encounter in the future’. A day after her birthday, Maria’s Dad was rushed to the hospital and later died in the emergency room due to cardiac arrest. Maria was devastated. She paused to pray – and then smiled saying, “Daddy is already okay”. Her Dad died knowing that her daughter had accepted that he had gone to a more beautiful place, and that acceptance had changed her remarkably in a positive way. In prayer she found peace. She began to realise her worth. She accepts things willingly, may it be good or bad, as everything happens for a reason. This positive belief is not to put you in jeopardy where you might feel like you’re carrying all the problems in the world. It is to make you appreciate what is in front of you, and to serve the real purpose of ‘you’. In the year 2015, Maria spent her time learning about her religion and traveling to meet people of different races, experiencing their food and cultures. She was feeding her heart and was spiritually involved all throughout the year. January of 2016, she realised that she needed to feed her wallet as well! 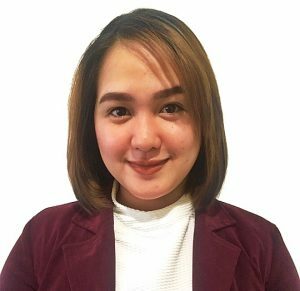 She could not continue depending on her Mum so Maria applied for a job that would allow her to relocate to a different part of the Philippines – a 10 hour boat trip from her hometown. She nailed the application process again and was accepted. Two weeks later, on the night that she arrived in the city, the company decided not to bring her onboard due to the lack of units in her college record. It was their loss – and not Maria’s. Fortunately, she did get a free ticket and lodging for that time. The very next day, she didn’t hesitate to apply to a company that she knew nothing about. She simply gave it a go because it was offering day shift. Truth is she wouldn’t have seen the recruitment office at all if she hadn’t been heading out to get a cup of coffee at Starbucks! The next thing you know, the orientation and job offer was next in line. When one door closes, you need not worry because there will always be that one who will keep their doors open until you finally enter through. With this Australian company, Maria learned many things. She became a workaholic – partly because she enjoyed the work and partly because it sucked living alone and work was a great distraction from feeling homesick! refuge was to drown herself with coffee. She also developed the ability to speak up on behalf of other people, and to not be afraid of following her own path – you don’t have to act like a puppet and just agree on something that is against the level of your understanding. She also became an example to other employees that asking questions is a good thing. Everyone is entitled to their own opinion and proactively sharing one’s thoughts reflects a healthy attitude towards communication amongst members. Of course, it is still important to be consider your choice of words and don’t just blurt out something you will later regret. Everybody loved Maria’s positive attitude and the energy and respect she showed other people, even when she needed to be strict. She mastered the art of managing her time and took responsibility for her decisions. She looked for her own apartment, exploring the city without the help of the others, and began taking care of her own bills (water, electricity, phone, home internet, grocery, etc). She mastered all the household chores and was very diligent. One day, her Mum visited and was delighted with what she saw. She was happy and told her so, adding “your dad is beyond proud of you, baby”, with tears in her eyes. Okay, we’ll skip the sob story today – but please let me say, every individual becomes tougher after every failure they are faced with. The only downside anyone could point out about Maria was how much time she spends on the phone with her clients… but there is a reason for this. Maria strongly believes that no complex situation can be rectified within 6-8 minutes. An exceptional resolution must be calculated well and should never be rushed. When there is conflict or challenges, remember that it is a two-way conversation and more than one party to consider. The sense of urgency can then take place when dealing with certain things internally to achieve the planned success. This was reflected in the high score of first call resolutions Maria was able to deliver to her team… and the positive surveys from her clients. They know she genuinely cares and the appreciate her cheerfulness. Almost 2 years passed, and Maria finally decided to settle down. She bid goodbye to her precious company and to the people whom she treated as family, for her to premeditate a foundation of her own. Today Maria enjoys every single thing about being a wife and is thrilled at the prospect of becoming a Mum someday. She finally found her ‘other rib’ that her Dad referred to four years earlier. She aced a load of chores that you wouldn’t expect a woman to do. For twenty-four years of existence she can already say that her life has been a roller-coaster ride. And when someone recently told Maria that by being joyful and grateful, she will become a model to the people circling around her… she realised it was about seeing the reflection of your own happiness not only on other people’s faces but also within all the things you execute every single day (personally and professionally). Now that another year is here and fireworks have filled the skies again, Maria considers entering a new battle where her knowledge and skills will hopefully advance. She is keen to grow significantly… and what better way to be productive at your own convenience than by feeding your mind and soul through the magic of the internet. This scrolling page is actually not enough to share Maria’s wild experiences – indeed, this is but a summary! Every word was written with a mixture of tears and much laughter, and the writer hopes that it somehow touched your soul. And that’s a wrap everybody! Now, what’s your story? For a copy of Maria’s resume please click here.